We hear from Detroit’s chief storyteller, Aaron Foley, who has flown in for Victoria’s Creative State Summit to show how the simple yet powerful act of storytelling can help bring communities together. Aaron Foley certainly has a job title that makes you sit up and take notice. In March last year the Detroit native and resident was employed by the City of Detroit’s mayor Mike Duggan as its “chief storyteller” – a position thought to be the first created in the United States. 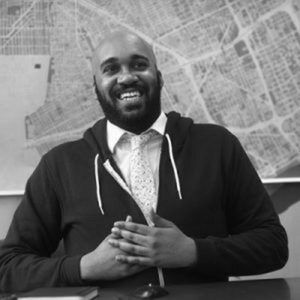 A former editor of BLAC Detroit magazine, it’s Foley’s charter to record stories from 700,000 Detroiters living in more than 200 neighbourhoods to drive community engagement. While Detroit has made headlines for economic turmoil, race riots and crime, there are people who have pride in the city and believe in its future, and it’s their voices that inform the story collection. This is where the Latrobe Valley, and Foley’s visit, enters the frame. While Detroit and the Latrobe Valley are in opposite hemispheres, they share an all-too-similar tale of economic upheaval triggered by industrial change: Detroit is dealing with the car industry downturn and the Latrobe Valley with coal mine and paper mill closures. Yet listening to residents and airing their stories about everyday life, argues Foley, can help restore community pride bit by bit – whatever the postcode. How can we regenerate towns and cities through stories? By showing cities what they’re capable of through their residents – showing that residents contribute every day, showing that residents care – it’s a way of inspiring civic pride. It’s also a form of education, in my opinion. Cities are large, they’re populous – and sometimes we tend to only know the neighbourhoods around us, instead of what a city has to offer as a whole. The more we know about cities, the better we can be as citizens. You’re speaking in the Latrobe Valley as part of the Creative Exchange. How can your experience of storytelling in Detroit apply to places like the Latrobe Valley? Always remember the people. People matter the most, and their stories matter the most. One thing about Detroit is that the stories of residents were getting lost in the stories about urban decay. How do we showcase people who are still living their lives among challenges and finding solution or salvation, instead of simply viewing them as victims of challenges? That’s what we try to do through our Detroit project. How could Melbourne take up some of Detroit’s storytelling insights? Melbourne is certainly big enough, isn’t it? Just by looking around, I’m curious about what brings people here, or what keeps people here. I see a kind of diversity here that I don’t see elsewhere; what’s the story behind that? What’s the story of everyone that makes Melbourne the city it is? Final piece of advice for communities keen to start a storytelling project? Know it will be a challenge at first. We’re less than a year post launch and we’ve still got a lot of learning and growing to do. But one thing we noticed immediately were residents’ reactions when we started telling them about this project. They felt so fortunate to be heard. Anytime you hear someone say “thank you for telling my story”, you’ll know you’ve accomplished something. In his work for the City of Detroit, Foley leads a team of writers and photographers/videographers to cover everything, including a chitterling-cleaning plant, an historic roller rink, a cricket field , a boxing program, a young feminists’ house and a basketball league. He also executive produces video content for Channel 21, one of the city’s four cable channels. Aaron is the editor of “The Detroit Neighbourhood Guidebook” and “How to Live in Detroit Without Being a Jackass”. 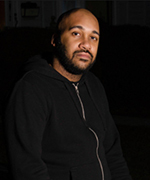 Prior to joining the City of Detroit, he edited BLAC Detroit magazine and he freelanced for several national and local publications. He also delivered a TED talk at Detroit’s historic Fox Theatre in front of a crowd of 2,500. On 14-15 June, this annual summit supported by Creative Victoria unpacked the latest trends, insights and best practice from leading local and international speakers. This year’s speaker line-up included the New York City-based founder of Museum Hack, Nick Gray, who leads a company of actors and educators who give renegade tours at some of the best museums in the world, plus Sydney-based Google Creative Lab’s Tea Uglow. A wide-ranging mix of leading local and international gallery, theatre, museum and festival directors, plus performers and educators also featured. Aaron Foley will be speaking on Monday 18 June 2018 in Traralgon, Victoria at The VRI, 18-20 Queen’s Parade from 6.00 – 8.00 pm. His talk will be followed by a panel discussion with diverse members of the Gippsland community. The event is free, but bookings are essential. Registration details available on the Creative Victoria website.